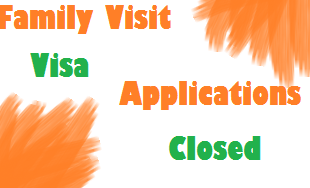 Family Visit Visa application were closed from now on just like every year, like previous year this year 2016 family visa application will not be entertained as soon as Hajj session is completed. Must notice that this is not for those who applied for permanent family visa some of you see some delay in permanent family visa process but it is not closed. Only visit visa application were not getting in till Hajj ends. Most of expats see the result “APPLY AFTER HAJJ” after applying online using MOFA website ministry of foreign affairs. 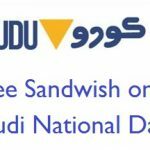 Those who already submitted the application and it was submitted successfully than still they able to bring their families in Kingdom even in month of Ramadan. If you seen this message نأمل تعبئة طلب جديد بعد موسم الحج than this message shows that “You will able to apply for online application until the end of session of Hajj”. Many of those who applies for spouse visa online face this issue from mid of the month of May. More ever renewal of family visit visa can still be done but it is chance of closure of renewal of family visa in RAMADAN.When hajj season starts renewal of family visa is not be done and those families who completed 6 months must have to go back to their home countries. If you have time than must perform umrah in Ramadan month as the reward of Umrah become doubled in Ramadan. Also Ramadan is coming it is time to start organizing the things to welcome Ramadan, this Ramadan is coming in the months of Summers May Allah gives us a patience and courage perform our Islamic rituals this month comfortably.